Frederik Hyldig posted a picture of a Google party he attended the other day in Amsterdam. 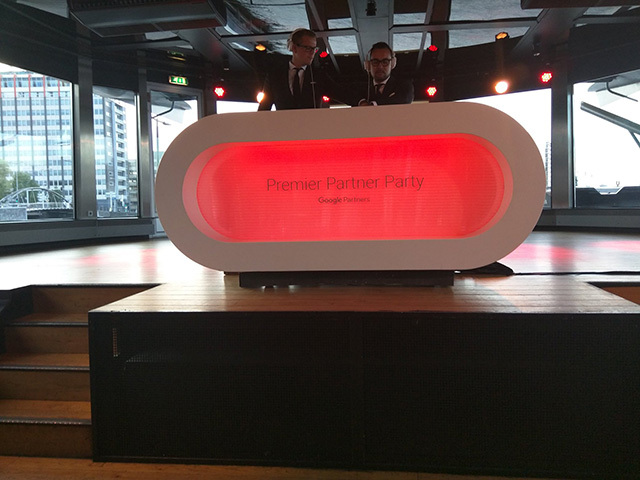 It was a premier partners event and you can see on the DJ's platform it highlights that fact. These DJs are in suits and ties, I guess that is how they do things in Amsterdam? He posted the picture on Twitter.